For booking request please complete our contact form by clicking the link below. Darlene L. Hart has a desire to see people live out their dreams. It is goal to teach people to use the short comings to their advantage. Her motto is that it is not the mistakes you've made that destroy you, it's what you do with the what you did that can change the course of your life. 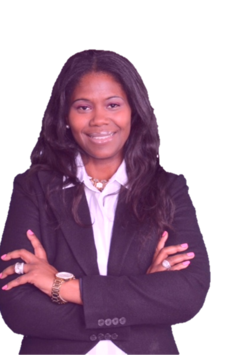 Darlene is the founder of Ensuring the Future a 501 (c)3 Non-profit organization. This organization was created to aide people who have been through tumultuous situations overcome their fear and trepidation and live. Darlene is also the creator and visionary of the Behind the Makeup Project. Under this movement the first collaboration project was created. This book has created quite a buzz and is showing evidence of seeing women and men's lives changed. Her next book 6 Months to Life will be released later this year. It her goal to see the next move of God cause people to begin to realize that being saved is not a convince to God it is a benefit of His people. That we come to understand our purpose was not to create a wealth of material blessings, but eternal life. We were created solely to praise the Lord and carry his message too the world. We are to be fisherman, to be a disciple. All inquiries and speaking request are to be sent to admin@dlhartent.com. If you would like to purchase the book Behind the Makeup please place your order online at www.Behindthemakeup.org. "I am committed to helping people enrich their lives and be the authentic person God created them to be."